Did you know that one of the world’s richest men created their wealth through borrowing money? In spite of investors such as Warren Buffett claiming that borrowed money is far from ideal as investment capital, the multi-billionaire has made the majority of his wealth doing so. While borrowing money to invest can work fantastically well for multiplying wealth, it can also be particularly costly if done incorrectly. The main issue comes those that begin to profit find themselves caught up trying to make a quick buck, neglecting their original plan and ending up in debt. However, if conservative tactics are used, then borrowing money to invest can be very fruitful. 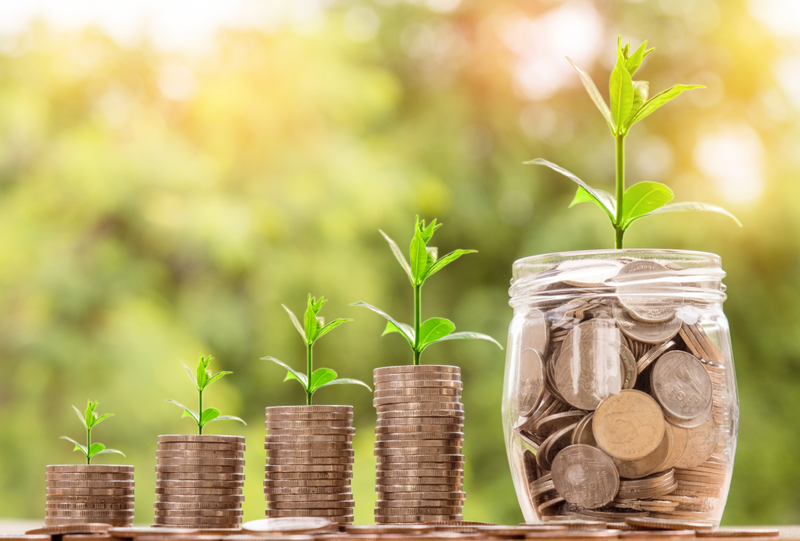 Below, we’ve gone into a little more detail on what you should consider when borrowing money to put into stocks, and how you can turn a profit nicely by using leverage to your advantage. Professional traders are not averse to using money from brokers and lenders – for them, this has been common practice for decades. Of course, having the know-how to get the most out of your investments is imperative, while finding the correct stocks to bet on can be the difference between big wins and big losses. Borrowing to invest simply comes down to weighing up the cost of the money to be borrowed against potential returns. In theory, if your returns are expected to be larger than the cost of the money borrowed, then your investment is sound. In short, the key is to find leverage with great interest rates and put said money into stocks that are safe and cheap, but most of all high-quality. This is the best way to long-term success and consistent gains. The idea of taking risks with money can cast doubt over most people’s aspirations for securing financial freedom. When putting down money for something such as a mortgage or a car, we seek financial assistance and make investments that are not wholly dissimilar to investing in stocks. The idea of buying a house or at least putting down money for one is in essence investing in an asset to sell it later for a higher price. Borrowing money for investments correctly is simply a case of making sure to weigh up all available options. The strength of your financial plan and long-term profit should be prioritized over fad assets or trends. There are a variety of methods in which you can find the capital to put into stocks. Most commonly, people take out personal loans and into stock investments. Other options that may be considered include putting equity up against your house or any cars you own. Mortgage refinancing is an often used as a way to find the money for these investments, the idea being that such investments are capable of covering the repayment of your loan and costs relating to borrowed capital, while providing an extra source of income for yourself in the future. Some also take advantage of services such as a stock loan, which is a more specialized way of borrowing to invest and can offer a unique, highly tailored solution. Taking your time when choosing how or what to invest in is very important. Arming yourself with the most information possible will go a long way towards making a solid judgment and save you from any unnecessary headaches. One of the most important ways you should start is by scouting for the best interest rates offered by prospective lenders. At the end of the day, you could make a considerable profit from a range of good investments – if you have to pay the majority of it back, it will slow your progress considerably. If your APR exceeds the average return rate you’ll get on your investment, then it may not be worth going forward with it. Depending on your approach to investing, you may have to wait more (or less) time to see any gains from investments. If you choose to invest in assets that hold for an extended period of time, you need to make sure you can afford loan repayments outside of using any potential profits. If you have other debts to take care of, it could be particularly tricky to stay on top of things. When choosing a stock to put money into, you should analyze it thoroughly – and not just how it has performed in recent times, but since it has entered the market. Looking at how a stock performed in the past can help you to anticipate how it will perform in the future. Even though prior performance is no guarantee of how a stock will move in months to come, it can give you a better idea of its typical behavior. The stock market is known for its erratic behavior and can change massively without warning. Finding peace with the sudden changes the stock market is prone to is easier for some and not so easy for others. Learning to keep your cool is paramount if you plan to borrow money to invest. Making an income by borrowing money to invest can be very lucrative. Taking your finances into your own hands and growing your nest egg using the opportunity afforded by the financial markets can be truly liberating. Doing your due diligence and seeking profit in the long-term is the key to making money from stock investments – it just takes a little know-how and patience. Want to know more about getting the most out of your finances? Check out our blog for a few tips on how to keep a handle on your money.